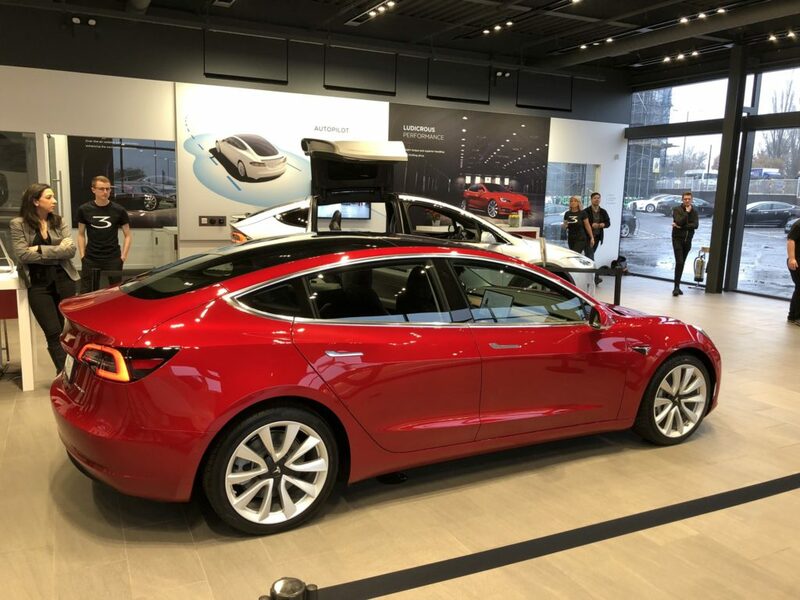 Tesla Model 3 is on display for the first time in the United Kingdom at the Park Royal Tesla Showroom, reported by none other than the brilliant Robert Llewellyn of the Fully Charged show (pics and video below). 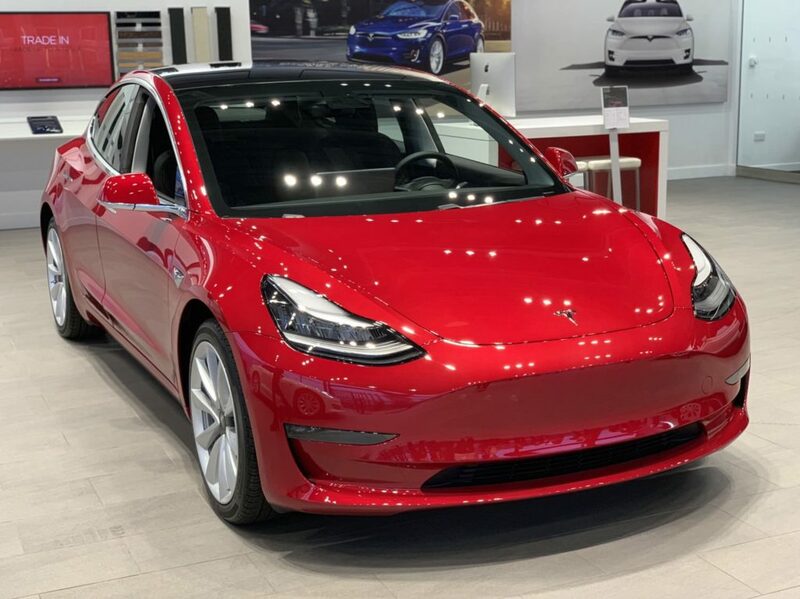 UK has been lurking behind even for the U.S. spec Tesla Model 3 display, as the entire fleet is on a display tour in several cities of Europe. This is the start of good the news for UK based Model 3 reservation holders and potential customers after more than 2.5 years of painful wait. 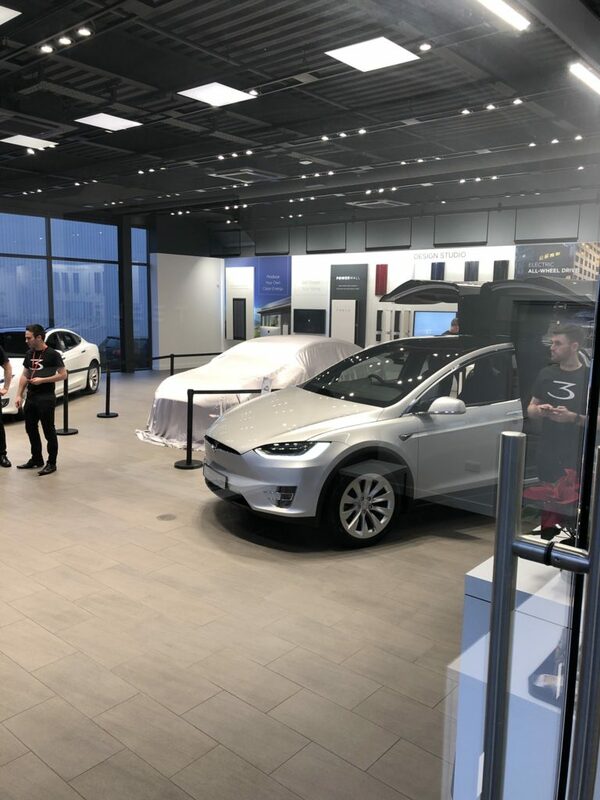 Anyone can go and see the Tesla Model 3 at the Tesa Store next to Park Royal Tube Station (Map/Directions). Stay tuned as Fully Charged promises to release a detailed show on Model 3 in UK and we will surely be updating, let us know your thoughts in the comments section below.